Well, here it is again! Another build, this one a week later. 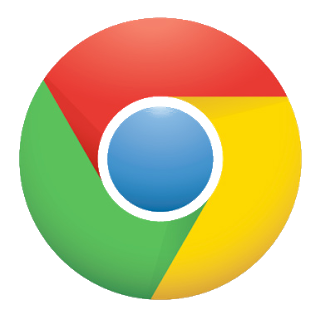 I've heard some reports that the Chrome Web Apps weren't working quite perfectly on some machines, that's the risk when you're running daily-builds of an operating system. This is freshly built as of yesterday, and I've update the instructions to include how to create a bootable Chrome OS flash drive in both Linux and Mac OSX. As usual, the Windows instructions are still there as always. After the jump, I'll include a copy/paste of the Instructions.txt file for your convenience. Have fun and let me know what you think! This pack contains the Image Writer for Microsoft Windows, which is a great, simple way to take or place images onto drives. Give these guys a hand! 1. Open the image writer program. 3. Select the USB drive you would like to make bootable. 1. Boot from your USB device. Be very very very careful with the dd command. This is a block device writer, it CAN AND WILL DESTROY ALL OF YOUR DATA IF USED INCORRECTLY. CHOOSE THE RIGHT DEVICE TO WRITE TO!!!! 3. At the very right of the table that is shown, you will see your mountpoint. 6. You can also use the command like this 'df -h', this will show you the space total/used/free in human-readable values (8GB) instead of byte count, you should be able to recognize your drive on space alone. 7. READ THE DISCLAIMER ABOVE THIS SECTION. Be careful. PLEASE! You can and will overwrite your main OS disk (or any other attached device) if you are not 100% sure you have the correct drive. Keep this in mind when using terminal commands. 9. Remember, you need to write the image to the full device, not just a partition. So if your 'flash drive' is /dev/sdb1, you want to use '/dev/sdb' in the 'dd' command. Likewise on OSX, if your drive is '/dev/disk2s1' you want to use '/dev/disk2' alone, without the partition modifier. 10. Most likely, you will need to use 'sudo' to invoke the dd command, depending on your setup. 11. You may need to unmount your flash drive to avoid a 'Resource Busy' error message.